This unique treestand in Edmonton’s southwest consists primarily of paper birch trees, along with some balsam poplar and white spruce. A predominance of paper birch trees is rare in Edmonton, and occurs here because a unique sand dune complex at this site produces sandy soil that provides ideal conditions for the growth of birch trees. The understory consists of a diversity of shrubs, including beaked hazelnut, raspberry, gooseberry, high-bush cranberry and wild red currant. 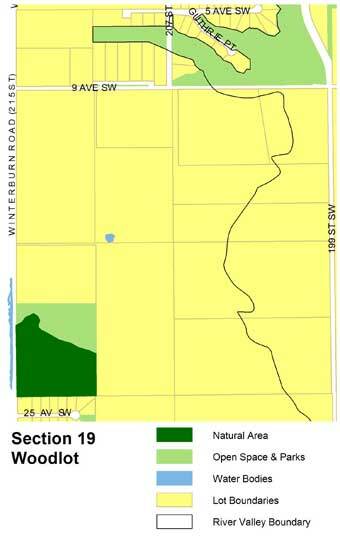 This site provides important habitat for white-tailed deer. This site can be accessed from Winterburn Rd. No formal trails exist at this site; however, there is ample open space located along the northern perimeter of the site in order to view this natural area. There are also a number of well-developed game trails through the treestand. 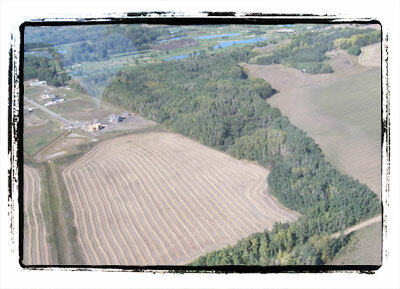 The site is used by deer for browsing, and for travel between the North Saskatchewan River Valley and the forested lands to the west of Edmonton. Other smaller mammals and birds can also be spotted.